Senior infielder Allie Macfarlane fields a ground ball against SIU. She hit her fifth career grand slam at the Rock Chalk Challenge. 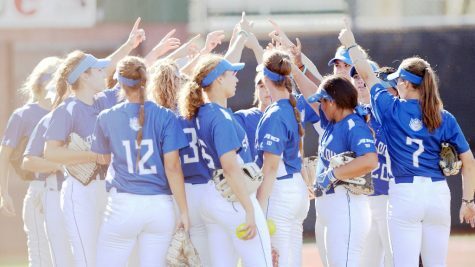 Softball posted a 13-11 record in tournament play, before opening up play at the Billiken Sports Center against Murray State and Southern Illinois. 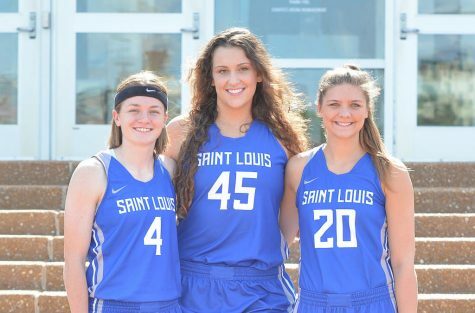 SLU posted a 1-4 record in the Petersen Hotels Invitational, with the sole win coming against Miami (Ohio) on Friday, Feb. 9. SLU posted a 6-0 win, which included freshman infielder Sadie Wise’s first collegiate home run, a 2-run blast in the seventh. A pair of wins came for the Billikens in the Louisiana Tech Invitational. SLU short-gamed Alcorn State on Friday, Feb. 23, with a 10-2 win. SLU later shut out South Dakota 6-0 on Saturday, Feb. 24. 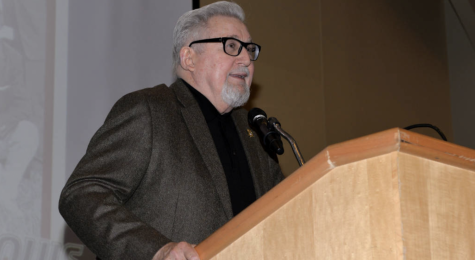 SLU continued to improve with three wins in the Ole Miss Classic. SLU posted a pair of wins over Chattanooga on Friday, March 2 and Sunday, March 4. 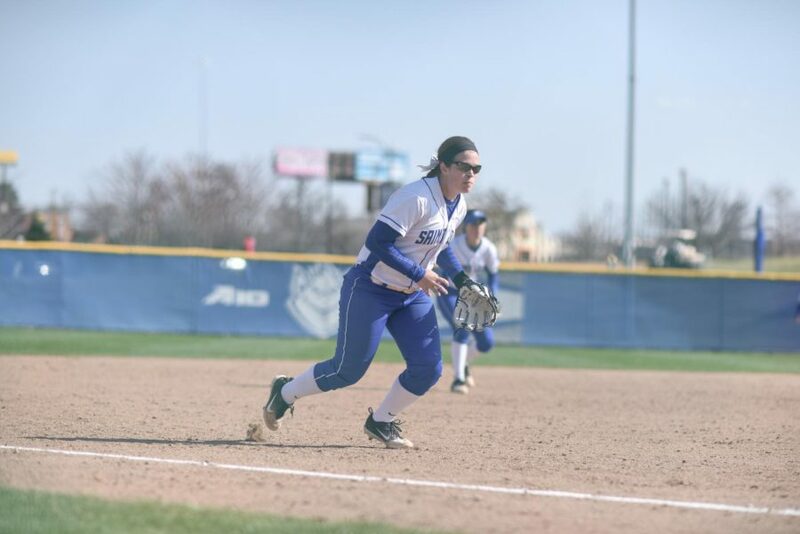 The first win, a 5-2 rout, not only included a bases-clearing triple from senior infielder Allie Macfarlane but was also Head Coach Christy Connoyer’s 200th victory as the Billikens’ head coach. The second win over Chattanooga was a bit tighter, at 5-3, but senior pitcher Maddie Baalman pitched her way out of a bases-loaded jam in the fourth. Baalman kept Chattanooga from scoring any further in the fifth and seventh. SLU also posted a 5-3 win over UT Martin with Baalman getting a pair of wins to even her record at 4-4 on the year. 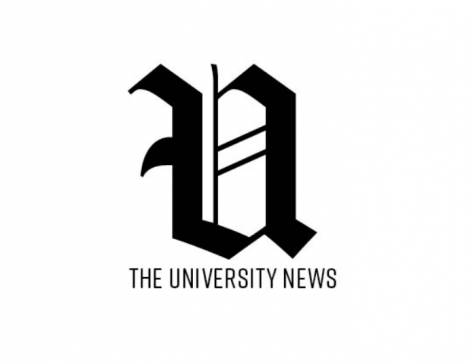 SLU posted their best record yet at the EKU Invitational, only losing one of the five games. Wins came against Northern Illinois, Western Carolina and Akron (twice). On Friday, March 9, SLU blanked Northern Illinois 4-0, followed by a 5-1 rout of Western Carolina. Junior designated hitter Kaylyn Breitbach blasted her first homer of the season in the seventh in the first win over Akron on Saturday, March 10. SLU beat Akron 9-7. SLU then short-gamed Akron the next day, Sunday, March 11. SLU hit four homeruns in the 12-2 win. The final regular-season tournament for the Billikens was the Rock Chalk Challenge, where they posted a 3-2 record. In the first day of play, Friday, March 16, SLU picked up a pair of wins. SLU first beat Western Illinois 5-4, with Wise blasting a two-run shot in the third. In the second game, a 6-4 win over UMKC, Wise blasted a three-run shot in the first. 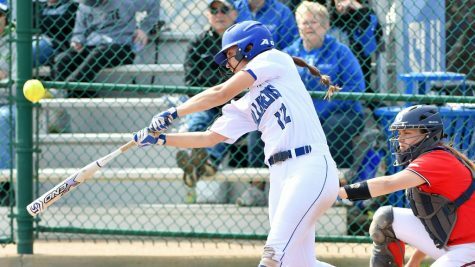 On Sunday, March 18, the Billikens posted a 7-3 win over Murray State, with a solo shot from Wise and a walk-off grand slam from Macfarlane, the fifth of her career. SLU won the home opener over Murray State, but it was a tight contest. In the 5-4 win, SLU struck early in the first with a single from junior outfielder Lauren Lomax and freshman outfielder Kat Lane reaching first on an error. Wise brought both of them home on a three-run homer over the center field wall, her ninth of the season. Murray State scored an unearned run in the second, but Lawson answered with a solo shot in the second, her second of the season. SLU’s last bit of offense was a sacrifice fly in the third by senior infielder Allie Macfarlane. Murray State later tallied two runs in the fourth. Baalman left the game at the end of the fourth and Junior Kallen Loveless pitched three innings of relief. Loveless held Murray State to just a lone unearned run in the sixth and set Murray State down in order in the seventh on the way to her first save of the season. 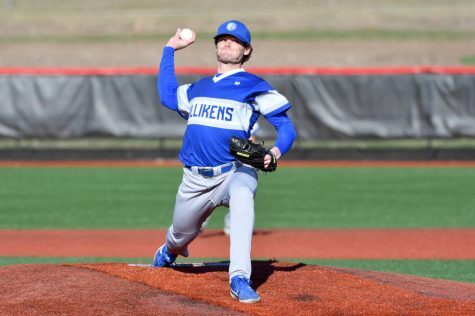 The momentum didn’t carry over to the game against Southern Illinois on Wednesday, March 21, when the Billikens fell 9-2 to the Salukis. SIU scored two runs in the first, hit a two-run shot in the third, a solo shot in the fifth and tallied four runs in the sixth. SLU’s offense came to life in the sixth when Wise hit an RBI single with Macfarlane repeating the same feat. 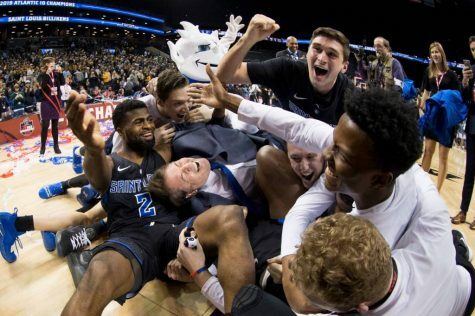 This was the only offense for the Billikens. St. Joseph’s comes to town for a three-game set on Saturday, March 24 and Sunday, March 25. Saturday’s doubleheader and Sunday’s single game both start at noon.